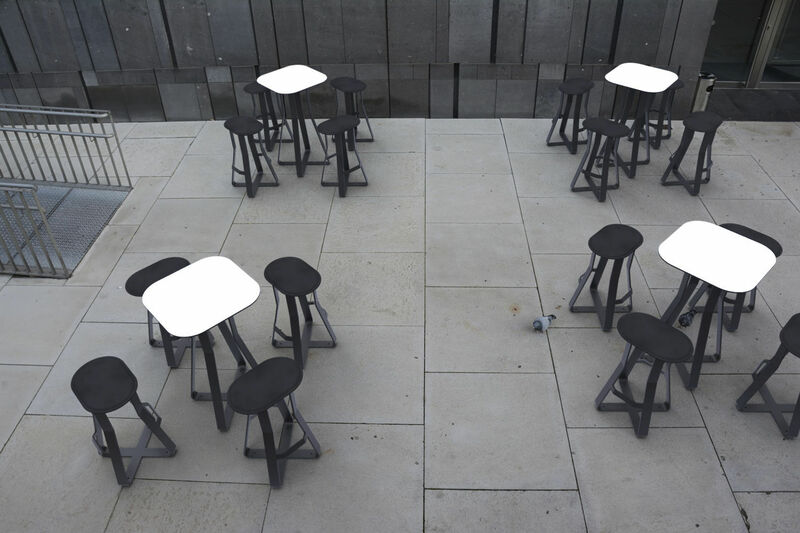 The unusual design of this black and white furniture makes any place into a real hot spot – a perfect meeting point for taking a break. 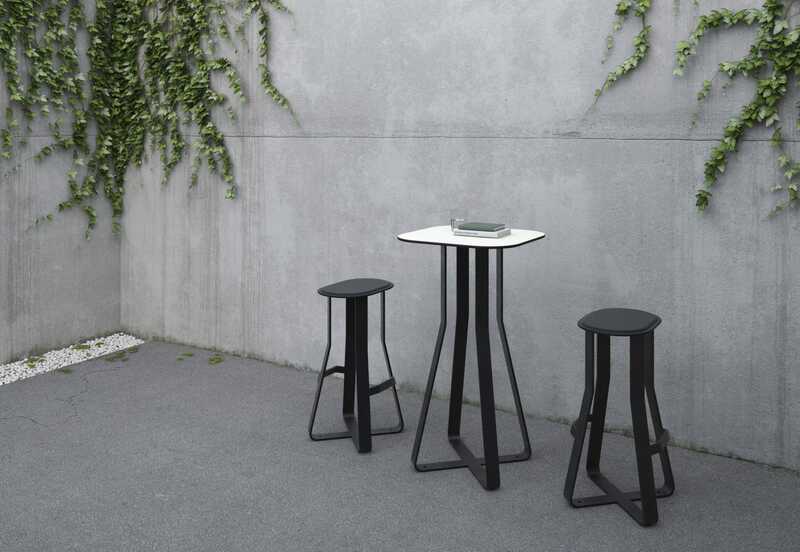 Furniture product line for public exterior areas consisting of stools and tables for mounting on the ground and a seat for mounting on walls, steps, etc. 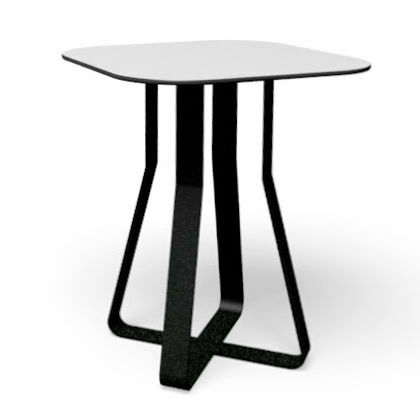 Frame consists of steel pipes and steel plates, seats of steel core with EPDM coating, tables of high-pressure laminate.